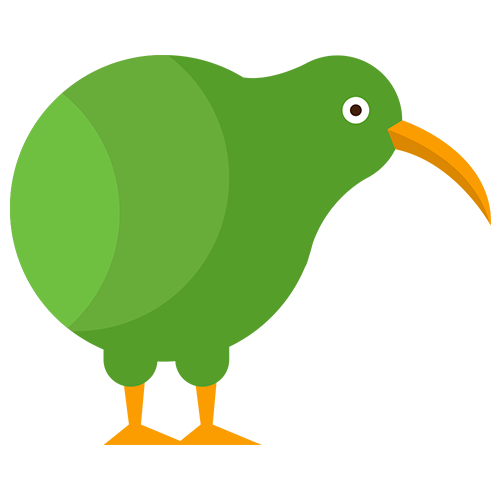 Learn what Kiwi is and what features it offers. Kiwi is a tool that was developed to change the way your company is working with Tableau data. Kiwi enables end users to request reports from Tableau Views by themselves instead of asking Business Analysts for a certain report. Users can request reports, that they have access to, whenever and as often as they like and receive them via their preferred channel. Kiwi consists of two applications that you can use to request reports as well as manage your Kiwi settings, monitors and user permissions. The Slack Integration is aiming at end users, who want to request and discuss Tableau data whenever they need it. People can request Tableau reports in any channel or private discussion by typing /kiwi. After a report was published in a channel, people can start a private thread on that report to keep track of the discussion of the specific report. By adding reactions to a published report users can show how they feel about a certain report so you can improve the quality of your reports. The Slack App can be used as outlet for automated, scheduled report distribution, that can be set up in the Kiwi Webapp. The Kiwi Webapp is used to manage permissions, connections to tableau and monitors. The person that registers a company first on Kiwi is automatically allowed to manage the account. More Accountmanagers / Admins can be defined later on. Visit app.kiwimydata.com and log in with Slack or Email to start managing your account. Connect your own Tableau Server or Tableau Online, to import your Tableau Views to Kiwi. Create Teams and allow users of that team to access reports by adding all or some reports to that team. Setup Monitors to automatically send pixel perfect reports to anyone in or outside of your company using email or slack.